Cập nhật thêm đề thi thử học kì 1 lớp 12 môn Tiếng Anh cùng với các đề thi thử Tiếng Anh năm 2018, Thích Tiếng Anh chia sẻ “Đề thi học kì 1 lớp 12 môn Tiếng Anh năm 2018 Sở GD-ĐT Thái Bình“. Đây là đề thi học kì 1 dành cho học sinh lớp 12 của sở GD-ĐT tỉnh Thái Bình, thi ngày 28/12/2017 mã đề 410. 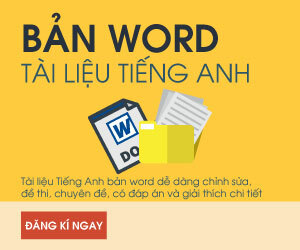 Đề thi học kì 1 lớp 12 có đáp án, các bạn tham khảo nhé! Question 5. On ________ Internet and with cable television we can select information from a wide variety of sources. Question 6. I’m sorry. I didn’t break the vase on ________. Question 7. As soon as I _________ smoking, I felt a lot better. Question 8. I ________ a very beautiful child while I was walking on the beach. Question 9. By working hard, you _________ achieve the results you desire. Question 10. _________ today, there would be nowhere for them to stay. Question 11. The children were quite attracted by the tamer and his animals ________ were performing on the stage. Question 12. I don’t feel like _________ to the cinema now because I’m under the weather. Question 13. Our plan _________ by the members of the committee. Question 14. Caring for a sick relative is the task that brings both ______ and pain. Question 15. The heavy rain has caused _________ in many parts of our country. Question 16. An economic __________ is a time when there is very little economic activity, which causes a lot of unemployment and poverty. Mark the letter A, B, C or D on your answer sheet to indicate the most suitable answer to complete each of the following exchanges. Question 17. John is complementing Jane n her new dress. – John: You look great in this new dress. – Jane: ____________. D not say anything about it. Not at all. I am glad you like it. With pleasure. Question 18. Harry is talking to judy after Judy had helped Harry. – Harry: Thanks for your help. – Judy: ___________. Don’t mentiong it. That’s the least thing I could do.